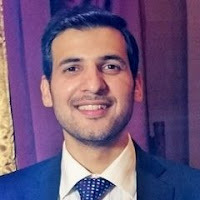 Zirgham Afridi is a Senior Engineer (Water and Environment) at Meinhardt (Singapore) Pvt. Ltd. He holds a Bachelors in Engineering (BE) and Masters in Civil and Environmental Engineering (MEng) from Imperial College London. He has previously held research positions at Jinnah Institute and Hagler Bailli Islamabad. His areas of expertise are: Equitable Infrastructure Policy and Environmental Law and Policy. Zirgham has been providing consulting services for over 6 years. He has carried out Environmental Impacts Assessments (EIAs) for various multinational energy and power companies operating in Pakistan. He has experience of leading multidisciplinary teams comprising of air and water quality technicians and ecological and socioeconomic experts in successfully delivering EIA reports. The EIA reports prepared by him complied with the International Finance Corporation's Performance Standards, Equator Principles, and World Bank Group's Environmental, Health and Safety Guidelines. Zirgham has extensive field experience in Pakistan and Singapore and has also worked in Bamiyan, Afghanistan.